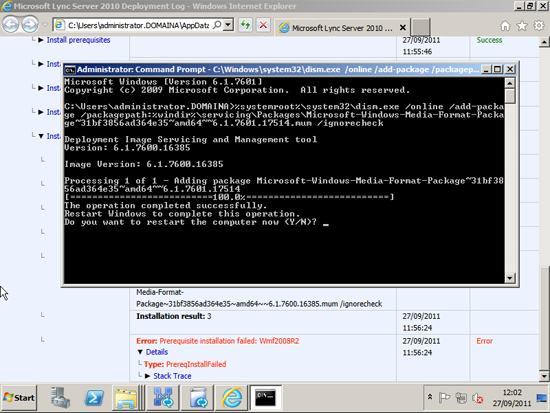 Seen Installing Lync Server 2010 on Windows Server 2008 R2, during the "Setup or Remove Lync Server Components" phase of the Deployment Wizard. 2. 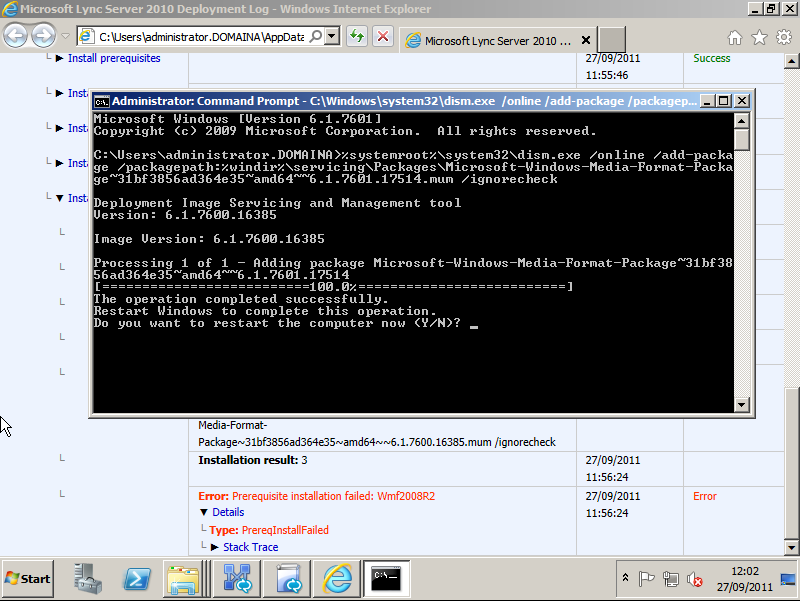 Then reboot as instructed, and continue the installation.